KBShimmer’s Spring 2016 collection has just launched and I’ve got half of the swatches to share with you in this post! The Spring 2016 collection actually consists of two 7-polish collections: Spring 2016 and Mega Flame. So as to not overload you with pictures, I figured I would make one post for each collection. 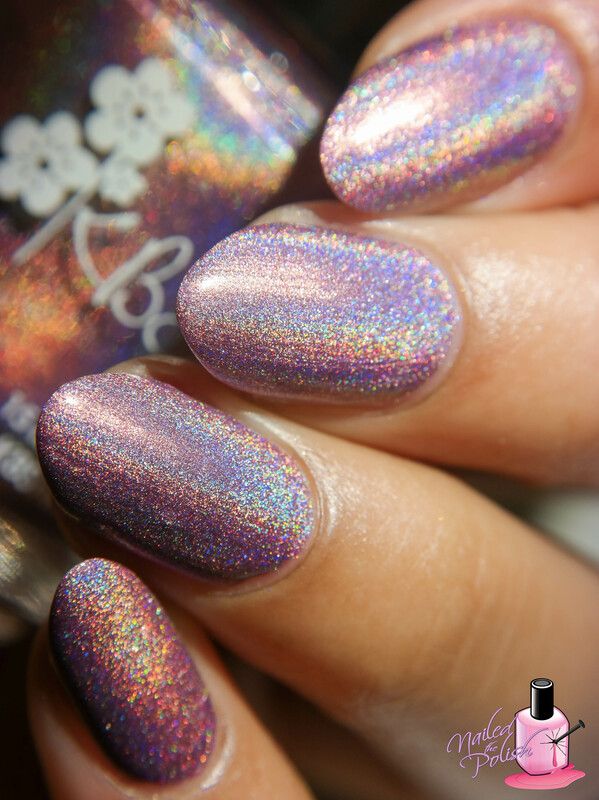 All swatches were taken indoors under a combination of Cree daylight and LED bulbs using a Samsung NX300 camera and topped with KBShimmer Clearly On Top Top Coat. I Wet My Plants is a pastel periwinkle crelly with pink, sapphire, silver, and purple hex glitters. Shown here is two coats plus top coat. Great application with nice glitter distribution. I love the periwinkle shade and the mix of glitters go perfectly with it! Pools Paradise is a light aqua crelly with neon pink, periwinkle, white, and aqua glitters. Shown here is two coats plus top coat. It’s a little hard to pick up the larger glitters but other than that, this polish has a nice formula – easy to apply and control, levels and dries well. Prints Charming is a white crelly filled with metallic fuchsia, turquoise, and sapphire glitters. Shown here is two coats plus top coat. This has got to be the most perfect crelly I’ve ever tried! Formula is absolutely fantastic! Amazing coverage and glitter distribution – so obsessed! Hello Dahlia is a dusty peach cream with added micro holo dust and golden micro flakes. Shown here is three coats plus top coat. Although I needed three coats, each coat dried and leveled well so reaching opacity was a breeze. 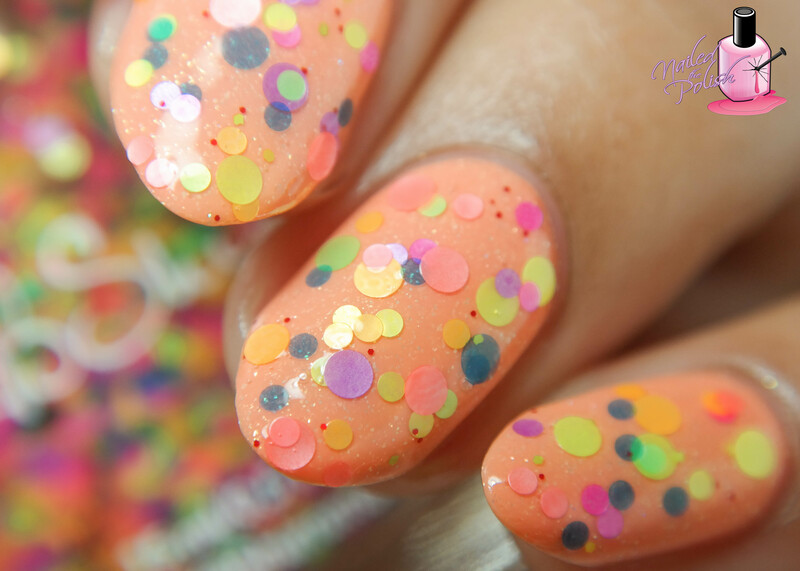 This is such a gorgeous polish and perfect for the spring season! 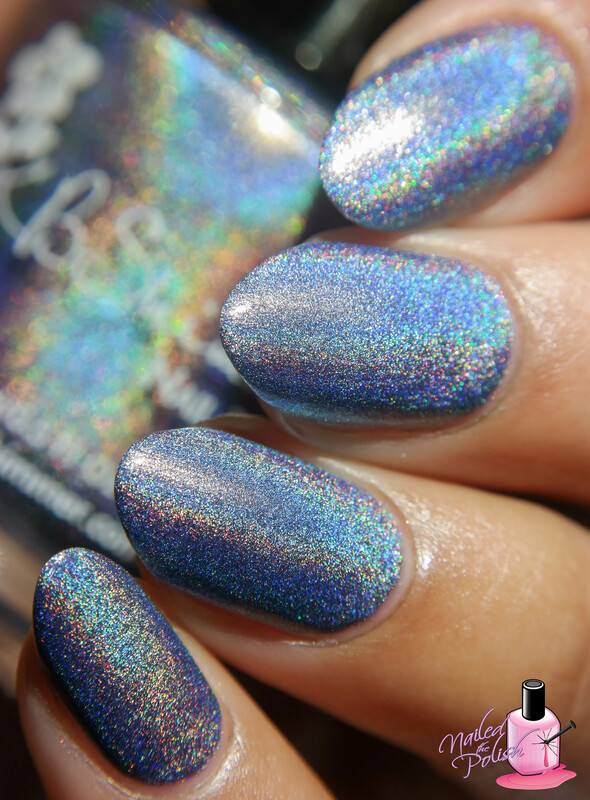 Last up is Purr-fectly Paw-some – is a pastel moody blue linear holo with steel gray and lavender undertones. Shown here is two coats plus top coat. Another perfect polish! I swear, KBShimmer can do no wrong! Such a great variety of colors and finishes that are perfect for the Spring. Formulas are wonderful, like always, and I had zero issues. This collection just launched and is available for purchase here. Each polish is priced at $9.25. Be sure to check out KBShimmer on Twitter, Facebook, and Instagram for more!